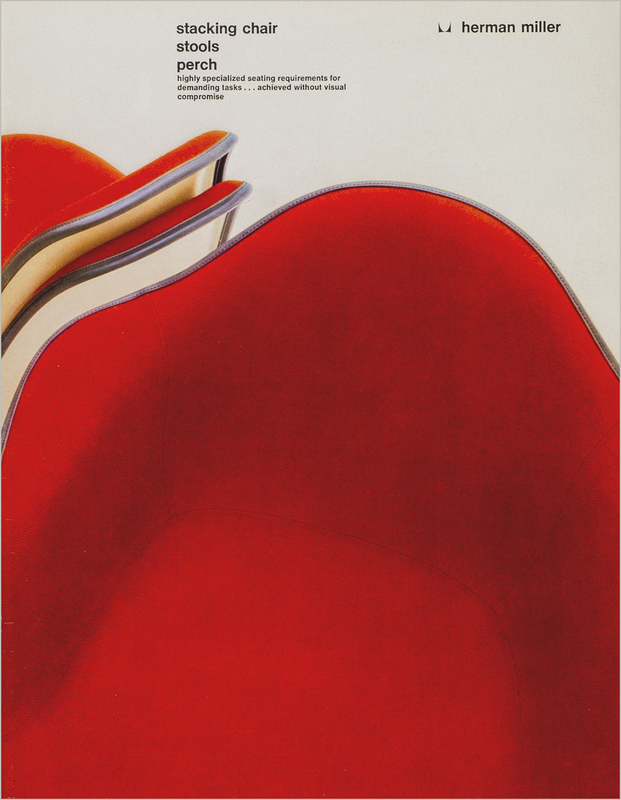 The front and back covers show a detail photo of Eames molded shell chairs. The full product line of chairs is shown on the inside. Paper/Material Dull coated white cover. Techniques Offset printing, 4 color process.